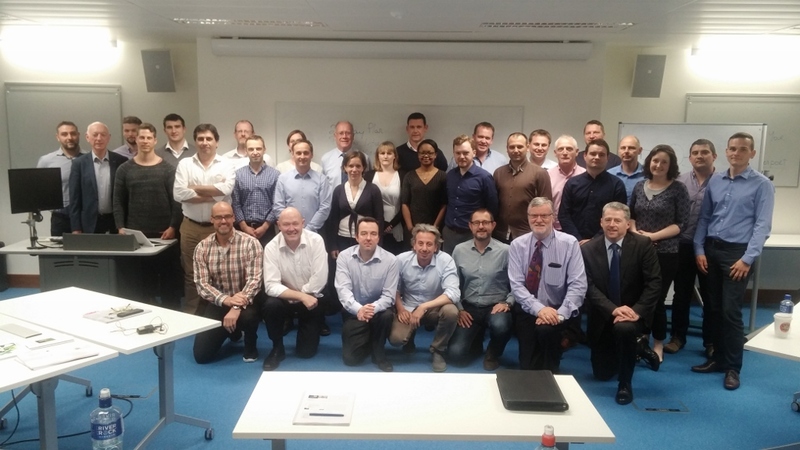 The EU-Japan Centre Lean Masterclass consisted of lectures, by Professor Richard Keegan, focussing on "Getting things done". The series was recorded in front of an audience consisting largely of former participants in the Centre's WCM and Lean in Europe activities. As well as being the Advisor to the EU-Japan Centre's WCM and Lean in Europe activities, Richard is an adjunct assistant Professor at the Trinity College Dublin Business School where the series was filmed on 23 & 24 May 2016. Until his retirement in October 2018, he was also the Manager of the Competitiveness Department at Enterprise Ireland. Links to all 8 lectures can be found on this webpage – you can either take the 'full course' or just view specific lectures. Free copies of the lecture material and 3 of Richard's related books ("Becoming Lean", "Becoming a Lean Service Business" and "The Five Rings") are available by completing this webform. The title of available lectures is given in bold type. To view a lecture, simply click on the link. To download it, right click on the link and select "Save Link As...".